We help with unfiled tax returns, late and lost state and federal tax returns, and other tax-related errors or omissions. Willfully failing to file tax returns when required is both a state and federal crime. If a taxpayer is caught and convicted for not filing their tax returns, they could face jail, substantial criminal fines and penalties, and then the assessment of the taxes–along with additional substantial civil tax penalties and interest. The government does pursue taxpayers for this type of criminal violation. In most cases, the government merely assesses the tax and tries to collect the tax. The government will typically prepare tax returns for taxpayers who fail to file their own tax returns. This allows the government to immediately assess taxes, penalties, and interest and, based upon this government-created tax return, begin the collection process (which may include wage garnishments, bank levies, and the seizure of personal and business property that the taxpayer owns). This scenario is problematic because government-created tax returns will typically fail to take into consideration any tax laws that are favorable to the taxpayer. 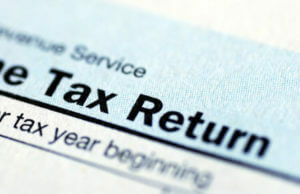 For example, government-created tax returns will often apply only one tax exemption, fail to list any deductions in excess of the standard deduction that the taxpayer may be entitled to, and will disregard the basis in calculating the gain on any investment or business assets that the taxpayer sold. The net result is often an outrageously large tax bill. Unfiled or late returns or information reports for income, transfers, transactions, etc. with foreign persons and foreign accounts present additional problems. There are laws and IRS programs for making these late-filings. The IRS’s offshore voluntary disclosure initiative or OVDI provides an avenue for disclosing offshore accounts or assets. The IRS also has a streamlined filing process for other missing information and other filings (such as Forms 5471, 5472, and 8856), which can help avoid or mitigate the significant penalties that are often associated with these filings. An experienced tax attorney can help you prepare and file previously unfiled tax returns, late filed tax returns, and lost tax returns. Please call us at (713) 909-4906 or contact us us online to schedule an appointment.